We are Glasgow Lindy Hoppers, purveyors of fine Lindy Hop and swing dancing in Glasgow. 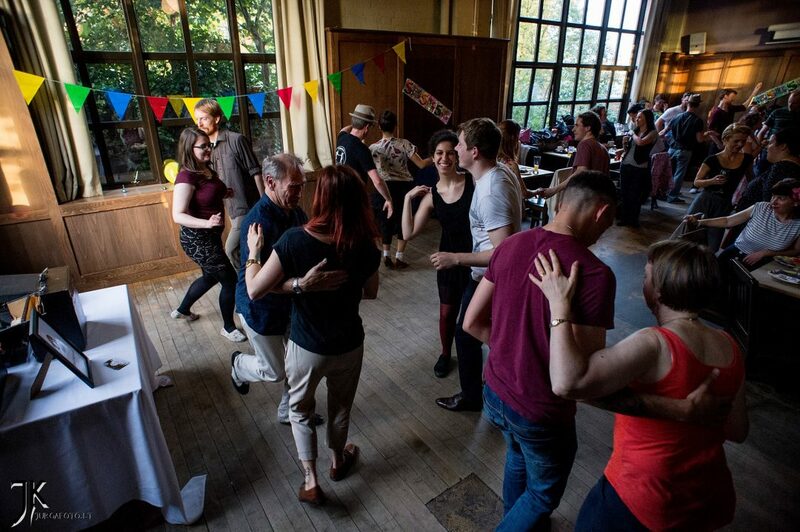 We are the largest swing dance organisation in the city, and teach swing dance throughout the year at classes, workshops, festivals, performances and events. At our weekly drop in classes every Monday, you can learn a wide variety of dance styles including Lindy Hop, Charleston, Collegiate Shag, Balboa, Solo Jazz steps and more. Learn classic moves from the 1920s, 1930s and 1940s, right up to modern day variations. Our experienced teachers are also available to teach private one-on-one lessons for individuals and couples. GLH teachers and advanced dancers are also available to hire, and can offer one-off taster classes and live showcase performances for special events. Get in contact with us to find out more about booking us for a special event or to book private lessons. Join our dance community on Facebook or Twitter.